Congratulations on your engagement and wedding decision! It is wonderful that you have found your life partner, and that you want God’s blessing on your lives together. We ask that you participate in one of the Marriage Preparation courses offered by the church. Prepare/Enrich is a facilitated discussion for couples wishing to explore their relationship in preparation for marriage or t enrich their life together. Please visit anglicare.org.au or phone 1300 114 397 for more information. Takes place once you have completed a “Notice of Intended Marriage.” However, this cannot take place more than eighteen months before the wedding date; that is, you meet with the priest between 1 to 18 months before your wedding. In that time, we complete the legal requirements of that form, and begin to discuss the wedding service. These need to be arranged by you with the appropriate parish contacts which will be provided once you have booked your wedding. These women will help you with choice of music, and with the flowers and decorations, matching your bridesmaids’ colours, etc. Please ring the parish contacts at least three months before your wedding. 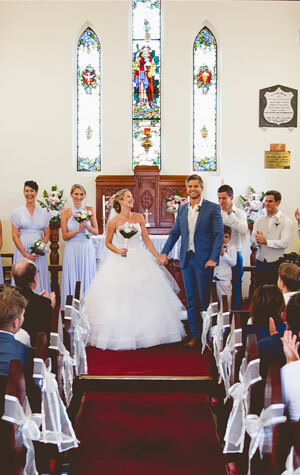 The fee for a wedding in Grovely Parish is $600. This includes the costs for the church and the priest. The flowers and the organist are additional costs that can be discussed with the Priest. 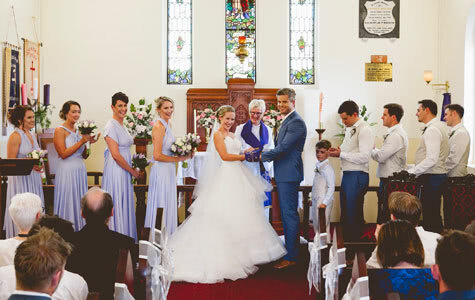 A deposit of $200 is required when the wedding is confirmed in the church diary, the balance of $400 should be given to the parish Priest at the rehearsal. Our parish secretary is able to produce your wedding service sheet if you so desire. Please contact the parish office to enquire about this process. If you are planning your wedding, we invite you to speak to the priest about marrying in All Saints’ church or St Matthew’s church. Please contact the parish for more information and to check availability. For more information on Grovely’s weddings, please download our Wedding Information Brochure (PDF) or contact us.